Weekend Gourmet, November 5, 2012 - Hartke Is Online! Together, We Can Make America Better! Vote, It is a Your Way to Make a Difference! Welcome back to the Weekend Gourmet blog carnival! We have big decisions to make about what to cook for dinner, and who should we elect to serve our nation. My message today, is to Just Vote. Look carefully at the choices you have before you, just as you think long and hard about what to put on the dinner table. Who will be an inspiring leader? What will nourish your family best? Every decision we make, whether large or small, exercises our brain, and moves us in a direction. It is important not to think that your decisions don’t matter. Hamburger Whelper is not the same as grassfed bison burger, ok? This blog carnival is all about inspiring others to think more about what we are dishing up for our loved ones. I appreciate all the bloggers who are helping me in this little crusade to bring back the home cooked meal. And, all the bloggers who are supporting their local producers by recommending farm market fare. As we think more long term about nutrition, let’s think long term about our nation’s future. Don’t sit this one out. You matter. Bloggers, please share today’s recipe with Mr. Linky, and link back to this post from your blog. Please add a comment about the recipe, and give us a reason to try your recipe this week! Readers, if you do try a recipe, please come back to the carnival and comment how it turned out, and post a comment on the blog where it came from. Your review may be the secret to getting someone else to try the recipe! Vote here on Hartke is Online! for your favorite real food recipe! 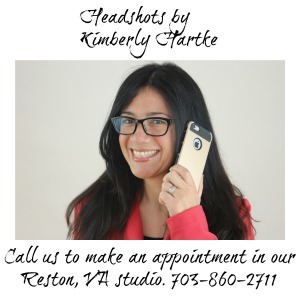 Kimberly Hartke is Publicist for the Weston A. Price Foundation and a featured blogger on the Village Green Network. Hi and thanks for hosting! I’m linking up a recipe for Gluten Free Gravy. The magic and chemistry of traditional cooking methods reduce and thicken this gravy into a velvety powerhouse of nutrients. Thanks for hosting! My post this week links to four new grassfed recipes at US Wellness who honored me by making me Chef of the Month. Thanks so much for the recipes and the tip about the coconut “soy” sauce. We try to incorporate as much coconut oil in our diet as possible. Now I have one more way! Praying that prop 37 passes today. Thanks fior all you do in spreading the word about good food!